A Tasty Treat that’s GOOD to Eat! 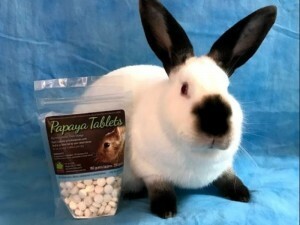 These Papaya Tablets are exclusively formulated for bunnies by HRRN. That means no artificial colors, flavors, sweeteners or preservatives…only the good stuff! We know that happy tummies make happy bunnies, so we worked with vets to formulate the perfect treat to aid digestion. 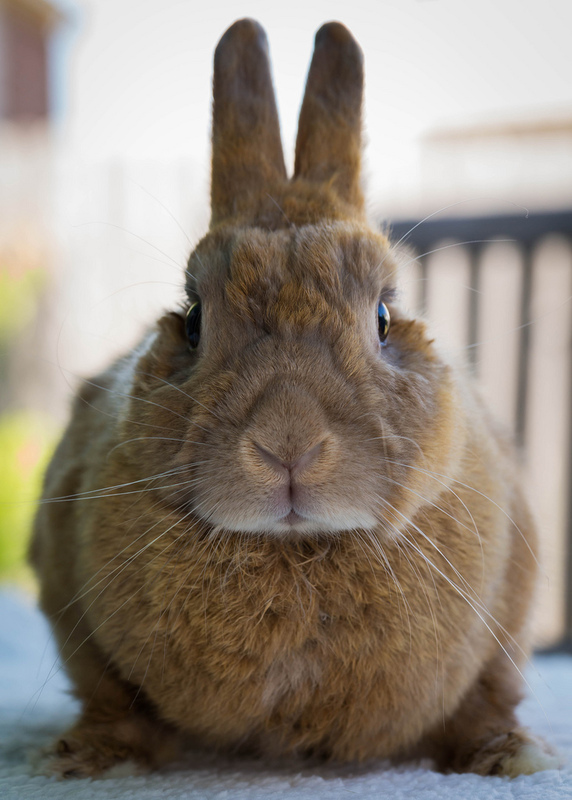 Like cats, rabbits groom themselves and are subject to hairballs. 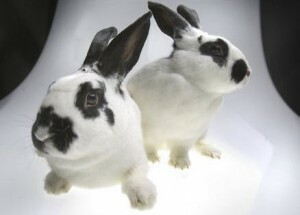 Unlike cats, though, rabbits do not have a gag reflex and are unable to vomit. The enzymes in Papaya (Papain) and Pineapple (Bromelain) help to breakdown mucus and hairballs. Both are anti-inflammatory and aid in digesting tough fibers. INGREDIENTS: 10mg bromelain; 5 mg papain; 20 mg papaya fruit. Recommended Daily Usage: Feed 2 tablets simultaneously and with food or as directed by your veterinarian. Do not exceed 3 tablets per day. 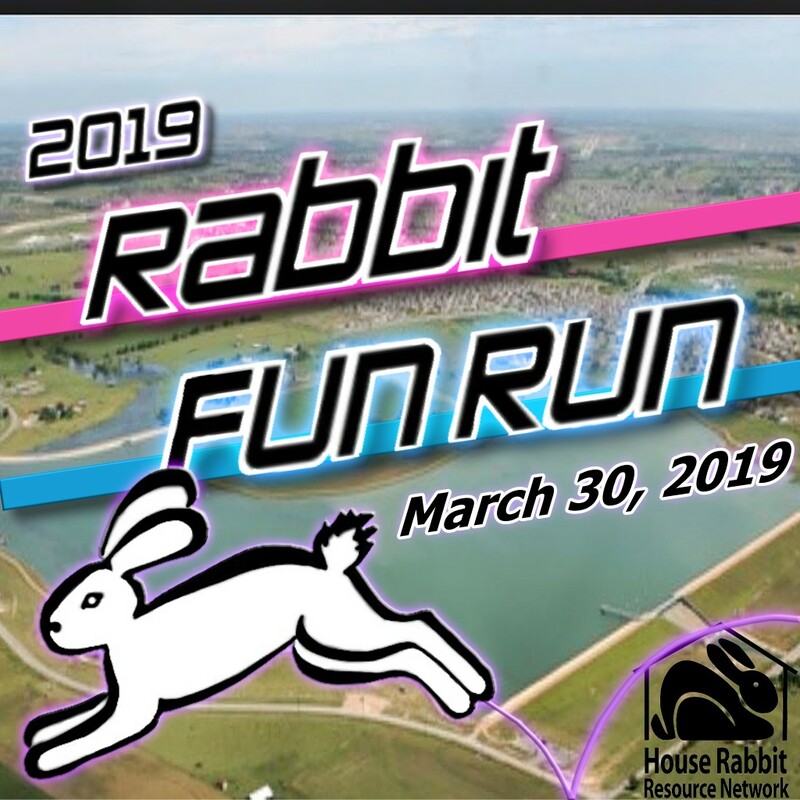 Join us next Saturday on March 30, 2019 at 8:00 AM for the second annual Rabbit Fun Run benefiting the House Rabbit Resource Network in Austin, Texas. Our first fun run was such a success that we have decided to make this an annual event. This is a fun run so feel free to run, sprint, walk, or just hang out under the pavilion at Lake Pflugerville. In addition to the fun run we will have music, sponsors to meet, information on the organization about adopting, volunteering, donating, and plenty more. The early entry fee is $30 for those ages 13+ and will include a unique run tee at www.rabbitfunrun.com. All ages are welcome and the loop distance is about 2.7 miles. 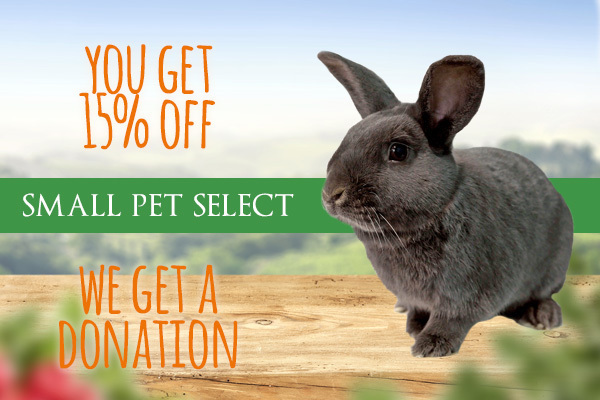 All net proceeds from the run will go directly to help the House Rabbit Resource Network’s efforts in improving the lives of domestic rabbits. 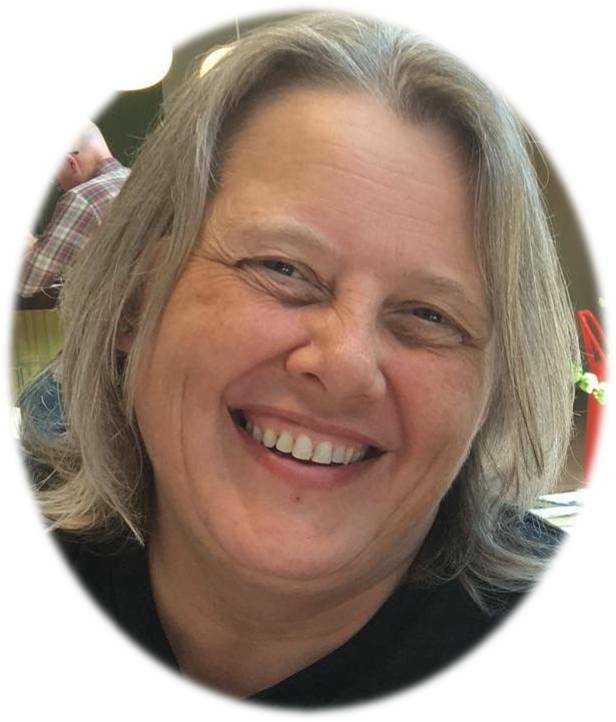 In May 2018, we lost a long time friend of HRRN, Robin Juhnke. Robin was a tireless supporter of wellness and health for our bunny guests, both as a volunteer and while working at White Rock Animal Hospital. 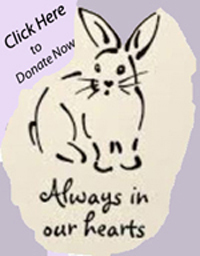 To honor the life of our friend, an ongoing fund to support the wellness of our bunnies has been established in Robin’s name at HRRN. Thus Robin’s efforts to improve the health of our rabbits will continue to inspire us even though she is no longer with us. You may make your contribution by mailing a check to HRRN, P.O. Box 2381 , Pflugerville, TX 78691 or by donating online. Your donation is tax deductible. On Sunday November 2nd 2014, House Rabbit Resource Network announced “The Rojo Fund”, in honor of Rojo who passed October 2nd 2014. 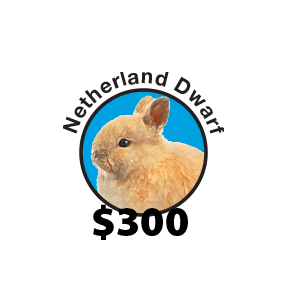 His fund is dedicated to paying for medical treatment for abused and injured rabbits. Our goal was to raise $10,000. With donors at our Christmas Party (12/11/16) we surpassed our goal and have raised $10161.52! This poem holds true for anyone who has lost a bunny or bunnies. by Shannon McCauley with Best Friends Training? * Note: Human bite 120 PSI. Average domestic dog about 320 PSI. Many breeds ARE greater though. Do you have apple trees? You can donate your tree trimmings to the shelter buns if your trees haven’t been treated with pesticides. 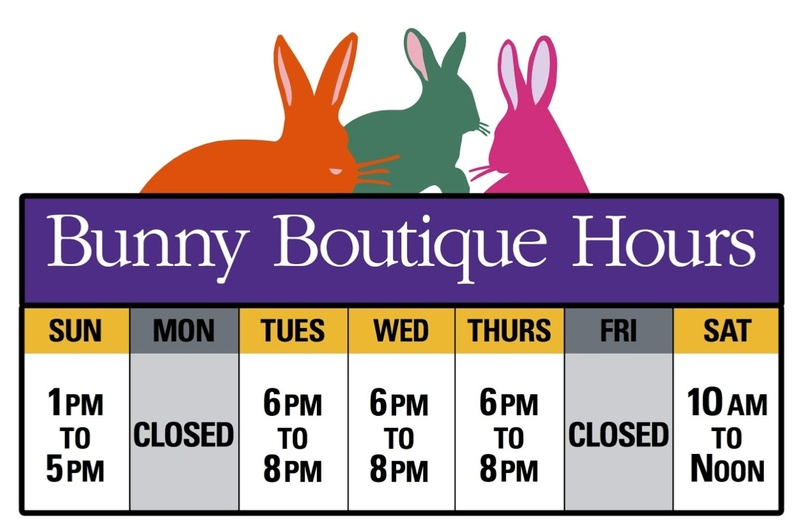 Bring them to the bunny boutique during store hours. 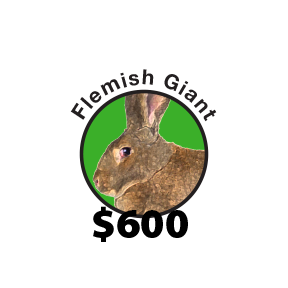 Want to know more about rabbits? 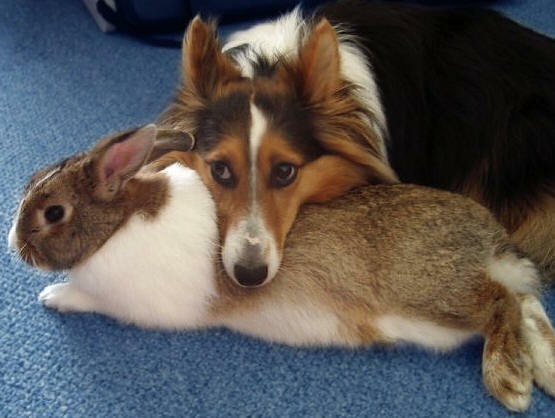 Does your current bunny need a honey? 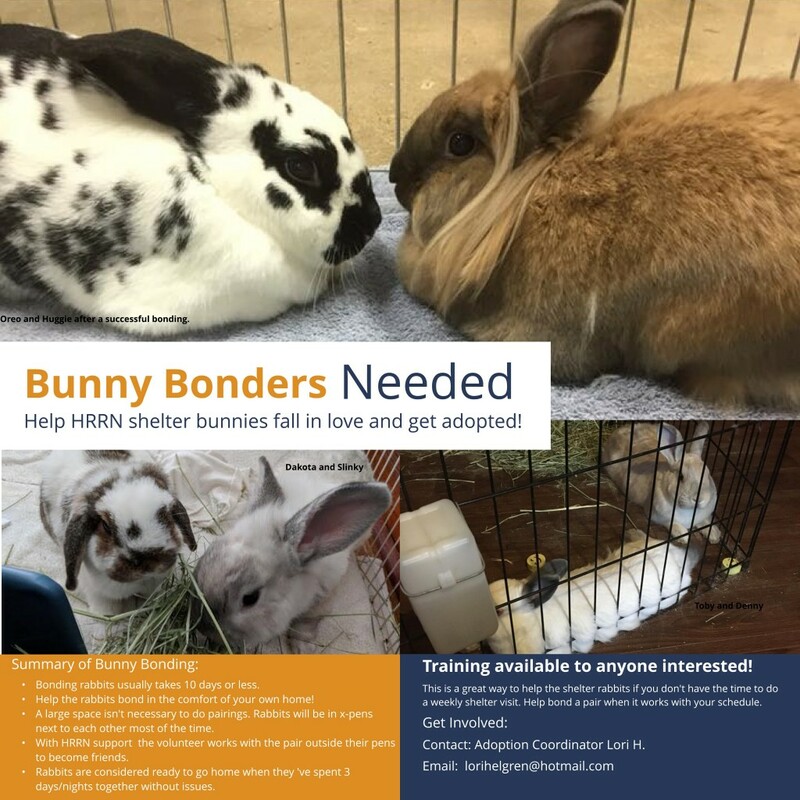 Click here and an HRRN bunny buddy will contact you! 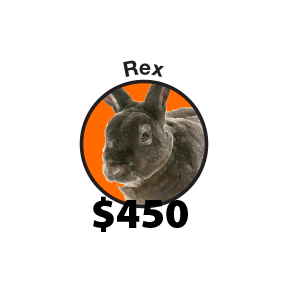 House Rabbit Resource Network has been serving Austin area rabbits for 20 years.